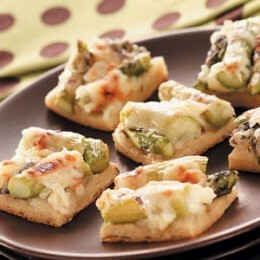 Pizza Bites with Asparagus. YUM! Yesterday, I woke up early, and for the first time (in I don't now how long) I didn't want to close my eyes and go back to sleep. I was ready to face the day and I felt determined that it would be the most productive day since Fuzz Ball was born. I got up. I dressed myself. I brewed my coffee. I had my morning devotion. I got laundry started. I checked my emails. Everything was going great. And then he woke up. And from that moment on, Fuzz Ball let me know that he had a different agenda for the day, which did not match up with my plans. With his stubbornness, I was overpowered and he won. Needless to say, I spent the most of the day confined to the couch--holding and feeding a fairly colicky baby. To make things even more fun, both Fuzz Ball and I caught the cold that has been going around our house. 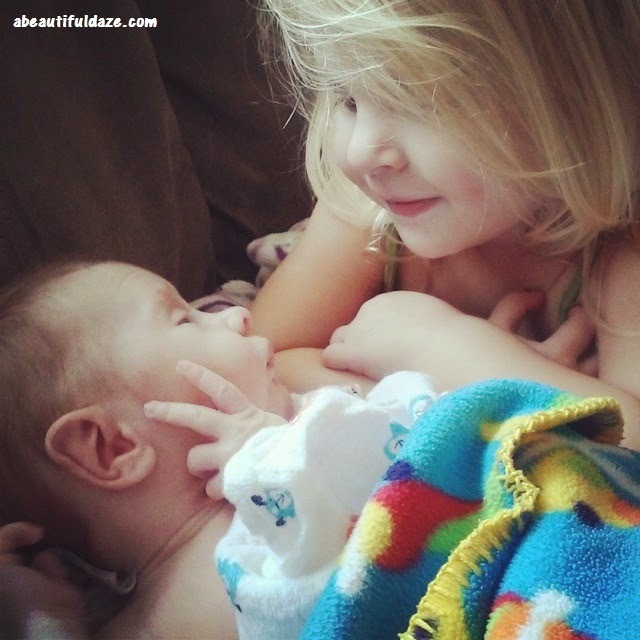 Runny noses, soar throats, coughs, and body aches--but thankfully no fevers, at this point. By the time the hubster got home from work, I felt like crud and the house looked worse than it did when I woke up. But he was kind enough to take Bubba to baseball practice for me, and I knew the least I could do was have dinner ready for him when he returned home. The problem was, with all of the sickness and baby madness, I didn't make it to the grocery store and therefore, I didn't have much in the way of food to work with. I had one magical ingredient in my fridge, though. One that I almost always have a supply of: Pillsbury Crescent Rolls. I remembered one of my quick and easy recipes--so I whipped it up in no time. I used mostly leftovers for this recipe, and we all enjoyed a quick and simple family meal, together. NOTE: Bubba was at baseball practice so he didn't help me make dinner this time, although he usually does. But it made him happy to come home and see that since I didn't have any asparagus on hand, I made this recipe with marinara sauce and black olives (as well as mushrooms and onion for Stud and I's pieces). I also took some meatballs which I had left-over from a spaghetti dish I made, and diced them up over the pizza bites just before baking them. Can you say YUM!? 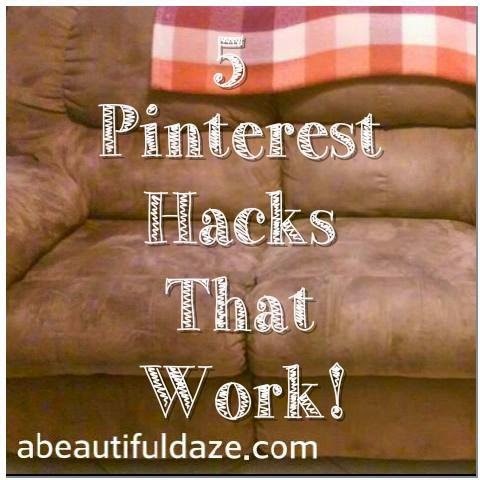 *This is a fun and very easy recipe that can be changed up to almost any way you want to make it. It's fun, it's quick, it's tasty, it's almost on the healthy side, and it is filling. I definitely recommend this recipe for quick fixes, especially for families with young ones like me!